Screenmobile is the nations largest mobile screen repair company, with almost 100 franchise owners, and growing. We specialize in window, door and patio porch screen and solar shading products. For over 30 years, with no national competitors, our franchise owners have enjoyed years of growth and success, as we continue to pioneer this industry. Screenmobile falls within the service sector of the home improvement industry. The home improvement industry is a multi-billion dollar per year economic powerhouse. Historically stable and consistent, the home improvement industry has unsurpassed potential, not subject to the rise and fall of economic trends. Our Initial Training takes place at SMU – Screenmobile University, and is designed especially for you! Initial Training Costs are included in the Franchise License Fee and will prepare any new franchisee for their new Screenmobile experience. We offer continued support with regional meetings and our annual convention. Please call Franchise Development directly at (303) 997-0737. 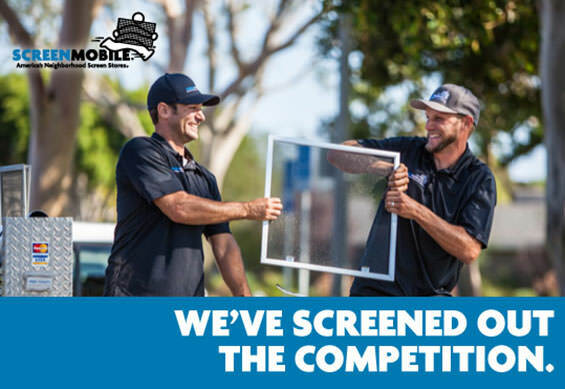 Screenmobile is currently accepting inquiries from the following states: Wyoming, West Virginia, Wisconsin, Washington, Vermont, Virginia, Utah, Texas, Tennessee, South Dakota, South Carolina, Rhode Island, Pennsylvania, Oregon, Oklahoma, Ohio, New York, Nevada, New Mexico, New Jersey, New Hampshire, Nebraska, North Dakota, North Carolina, Montana, Mississippi, Missouri, Minnesota, Michigan, Maine, Maryland, Massachusetts, Louisiana, Kentucky, Kansas, Indiana, Illinois, Idaho, Iowa, Hawaii, Georgia, Florida, Delaware, Washington, D.C., Connecticut, Colorado, California, Arizona, Arkansas, Alabama, Alaska.